We’re sponsoring Longhorn PHP in Austin! Near Austin, TX in the next few weeks? Come on by Longhorn PHP, April 19th – 21st, 2018. We’re excited to be a Platinum Sponsor, and would love to meet y’all in person. Tickets are still available, and it should be an awesome event! Not only will most of our US-based team be there to answer questions and hang out, but we’ll also have limited edition Foxy.io shirts! 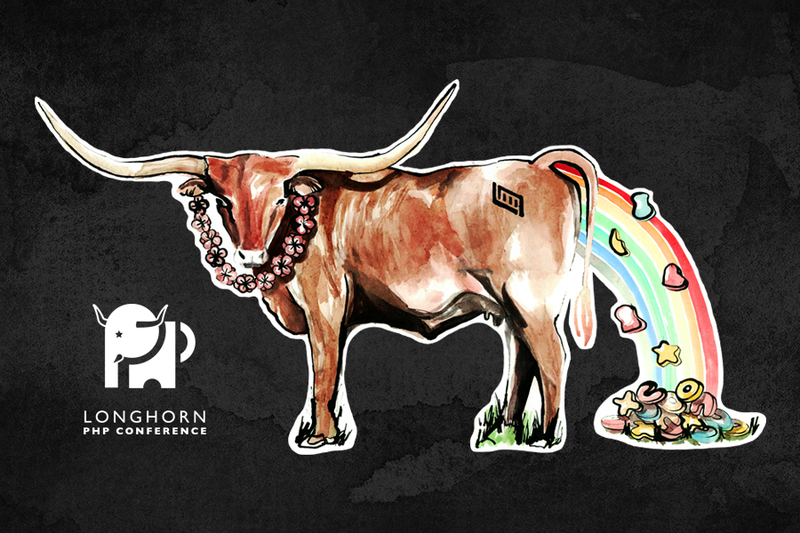 We’ve had many requests for our old rainbow unicorn shirt, but we think this longhorn unicorn is an appropriate change for our first sponsored event in Austin, TX.